Intel-owned McAfee has announced its intention to acquire Finnish networked firewall specialist Stonesoft in a deal worth $389 million (£250 million). Stonesoft, which is based in Helsinki, describes itself as a creator of "next generation firewalls, evasion prevention systems, and SSL VPN solutions" for businesses of all sizes. McAfee has identified next generation firewalls as a fast growing element of the network security market and believes it can grow its business by integrating Stonesoft's firewall technology with its own Firewall Enterprise product. McAfee president Michael DeCesare said his company will integrate Stonesoft's offerings with its other products, in line with its Security Connected framework, which integrates technology gained through acquisitions. 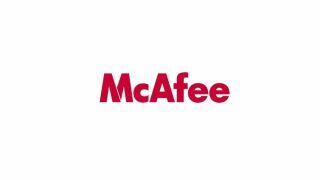 "With the pending addition of Stonesoft's products and services, McAfee is making a significant investment in next generation firewall technology," he said. "These solutions anticipate emerging customer needs in a continually evolving threat landscape." Meanwhile, Stonesoft's 6,500 customers will gain access to McAfee's Intrusion Prevention System (IPS), which protects against hackers, malware, and zero-day exploits. Stonesoft saw sales rise 12% to $9.2 billion during the first quarter of 2013. The deal comes two months after McAfee acquired ValidEdge, a provider of Network Malware Security systems which detects previously unidentified 'zero day' malware.